We all get them, nuisance calls asking you about PPI or wondering if you’d like to subscribe to their service. With modern mobile phones there is the option to block certain phone numbers akin to blocking someone on Facebook or Twitter. It works like this; if a blocked number attempts to call you, the call itself is hidden from your view and does not disturb you. On the other end, the caller will hear a ringing tone, and then be told that you’re unavailable. Unfortunately this option is not available on our landline phones, so even if you’re able to block the annoying calls on your mobile, at home or in the office, it might be a different story. Thankfully; VoIP phones also possess the call blocking feature along with many others that you simply can’t get on regular, non-internet enabled landlines. Some people might resort to changing their phone number to protect themselves from nuisance calls. 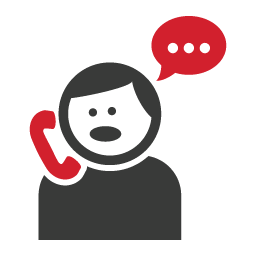 If you are unfortunate enough to be a victim of annoying calls, you no longer need to do this if you have a VoIP phone. You can just filter your calls to allow only those from people you trust. Similarly, some people call you while their number is not displayed, or you see ‘private or unknown number’ on your phone screen. This is how some nuisance calls can get around the call blocker. These are called anonymous calls, and you can also block them with VoIP. Of course, there are occasions where someone you know may be calling you under with a private number (due to various reasons) so it may be worth letting people know about this feature being enabled on your phone. VoIP offers a range amount of useful and enhanced features, many of which come as part of your service package. Which feature you want to include in your VoIP service package will be based on your needs, so you can ensure you’re getting your money’s worth. There are features that allow you to manage your calls, to being able to access additional services, and enjoy handy tools to make your VoIP experience rich and sophisticated. Some of these features can be business tools while others can be truly helpful communication tools among friends and relatives.